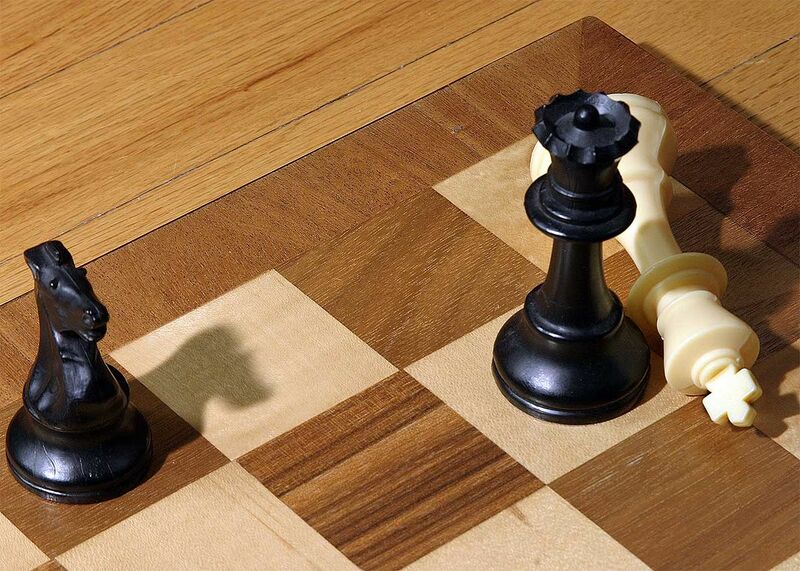 Like a game of chess, have the results of the 2018 New Brunswick elections created a Legislative Assembly that is in a true stalemate that can produce no winner and must be dissolved prompting a new election? 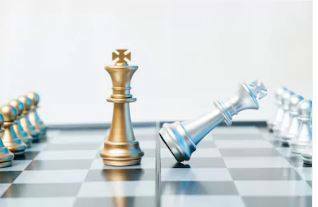 Or is the minority Gallant Government in fact in political checkmate, where any maneuver ultimately results in its defeat? 1) Not allowing any Liberal MLAs to become candidates for Speaker. As no other party will put forward a candidate, this will cause the Assembly to go without a Speaker and be unable to conduct any other business. The Assembly would become deadlocked. Historical precedents shows that Gallant will remain Premier, and that the Lieutenant-Governor should allow a reasonable amount of time for the Assembly to attempt to elect a Speaker. This process could allow for a political resolution. In the meantime, within the Assembly, Gallant could continue to negotiate for support from the Alliance and Greens to survive a Throne Speech vote. Outside, Gallant could use the procedural confusion to try and shift public opinion towards supporting his Government. 2) Putting a Liberal MLA forward as Speaker and then presenting a Throne Speech for the purposes of political posturing, daring the other parties to vote against it. As the precedents from Ontario in 1985 and British Columbia in 2017 demonstrate, this option is political suicide for a government wishing to remain in power. Our article provides an overview of the political circumstances resulting from the recent election. We use constitutional principles, historical precedents, notably deadlocked Assemblies that were unable to put forward a Speaker (Prince Edward Island in 1859 and Newfoundland in 1908-09) to show that only Premier Gallant, and not the Legislative Assembly, can cause an early election by advising Lieutenant-Governor Roy-Vienneau to dissolve the Legislature. However, we will show that under these exceptional circumstances in New Brunswick, the Lieutenant-Governor is not bound to accept the advice from the Premier. Instead, depending on the path that Premier Gallant chooses, he will be forced to resign as Premier, enabling Lieutenant-Governor Roy-Vienneau to appoint Blaine Higgs as the New Brunswick’s 34th Premier since Confederation. 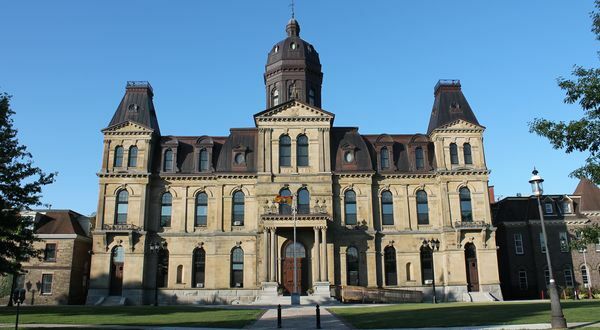 New Brunswickers elected their 59th Legislative Assembly on 24 September 2018 but gave no party a majority. In this minority legislature, the incumbent Liberals led by Premier Gallant lost their majority and did not even win the plurality. The Liberals stand at 21 seats; the Progressive-Conservatives, at 22; the Greens, 3; and the People’s Alliance (a right-wing populist formation), also 3. Barring any abstentions, a government requires 25 votes to maintain the confidence of the Assembly. The Progressive Conservatives have declared they will vote against the Gallant Throne Speech, the first test of confidence. Presently the fate of the Gallant government rests with the support of the two minor parties; however, Gallant is running out of time. Not without controversy, Premier Gallant has opted to remain in office and test the confidence of the new assembly; things will come to a head when it meets on Tuesday, 23 October 2018. Lieutenant Governor Roy-Vienneau has taken the unusual step of meeting with all the party leaders individually since the election and has released a series of public statements encouraging incoming MLAs to make the new minority legislature work – including by first electing a Speaker. Normally, the election of a Speaker is uncontroversial. However, in the Assembly’s current configuration, it is in no party’s strategic advantage to offer a candidate. A Speaker does not vote except for in the case of a tie. Offering up a candidate would deprive a party of a deliberative vote. For the governing Liberals, it will reduce their votes to 20. This means that they would only remain in power with the combined vote of 3 Greens plus 1 vote from the People’s Alliance, with the Liberal Speaker holding the casting vote to preserve the Gallant Government. More importantly, although the Progressive Conservatives have one more seat and can afford to put forward a candidate for Speaker, assuming the combined PC and Alliance vote is 24 to the Liberal and Green 24, convention stipulates that a Speaker should exercise his or her casting vote in a manner that does not result in defeating a government. In practice, this means that if the PCs put up a Speaker, they would be unable to bring down the Gallant government with only the support of one minor party. For the Greens and People’s Alliance, offering up a Speaker would reduce their relative power, and their ability to act as a swing vote to influence the larger parties. This creates a scenario where if every party is acting in its own rational self-interest, none will put forward a candidate for Speaker. Since the 1994 reforms to the process of selecting a Speaker, the traditional practice where the Government nominated a Speaker no longer applies; it is now the collective responsibility of the Assembly. New Brunswick’s Legislative Assembly now faces the same potential for deadlock as British Columbia’s did last year when incumbent Premier Christie Clark also decided to remain in office after voters elected a minority legislature. We lay out here the relevant principles and precedents relating to forming governments in similar minority legislatures, as well as the most likely scenarios for how the Gallant government would fall and how the 59th Legislature would proceed. The Lieutenant-Governor’s first duty is to ensure that there is always a duly constituted government in office that can command the confidence of the elected assembly and carry out the Queen’s business – in other words, the routine affairs of state, like getting supply bills through the Legislature. Consequently, there can only ever be one ministry in office at any time, and there is always a ministry in office in New Brunswick. Brian Gallant has remained Premier of New Brunswick throughout the writ and since, but the Gallant ministry has limited itself to acting in a caretaker capacity since the write in August 2018. Former New Brunswick Lieutenant-Governor George Stanley, in the Office of Lieutenant Governor of New Brunswick explains that although the Government of New Brunswick can fund itself using Special Warrants “required urgently for the public good” in accordance with section 28 of the Financial Administration Act while the Assembly is not in session,  it is inappropriate for the government to continue appropriating funds via this manner indefinitely. For Stanley, it “deprives the members of the Legislature of their traditional right to discuss and approve Supply”. According to Peter Hogg, New Brunswick achieved Responsible Government in 1848. Responsible Government means that “Ministers of the Crown take responsibility for all acts of the Crown” and that the Lieutenant-Governor acts on and in accordance with ministerial advice, save for exceptional circumstances, which in turn ensures the partisan neutrality of the Crown that she represents. These acts include accepting responsibility for one’s own appointment as Premier, the dismissal of one’s predecessor, and for summoning, proroguing, and dissolving parliament. Ultimately, this arrangement ensures balance; Responsible Government guarantees that one Premier and Ministry or another will always take responsibility for all acts of the Crown before the Assembly and the electorate. In so doing, this system secures the principles of democracy and accountability. Under Responsible Government, defending the political neutrality of the Sovereign or Lieutenant-Governor and taking responsibility for all acts of the Crown are one and the same. The Lieutenant-Governor can only refuse to promulgate ministerial advice in exceptional circumstances because the consequence of exercising such discretionary authority is equally and proportionally exceptional: the Lieutenant-Governor thereby dismisses the Premier and ministry which tendered the original constitutional advice and must appoint in their place a new Premier and ministry which can then take responsibility for her decision to refuse advice and force the dismissal of their predecessors. For example, if Lieutenant-Governor Roy-Vienneau refused to promulgate the Premier Gallant’s advice to dissolve the Legislative Assembly, she would in so doing withdraw also her confidence from the Premier and revoke his authority to govern. At that stage, the Lieutenant-Governor would then have to appoint a new Premier and ministry who could take responsibility for these acts of the Crown (refusing the dissolution and dismissing the previous ministry), because a ministry can only take responsibility for advice that it has offered, not for the contrary advice that it did not offer. In principle, the Lieutenant-Governor could refuse to implement one Premier’s advice to dissolve parliament if there were a viable alternative government that could gain the confidence of the existing Assembly, and if that alternative government were also willing to take the responsibility for the dismissal of its predecessor. This occurred in the Province of Canada in 1858, the Dominion of Canada in 1926, the Province of Ontario in 1985, and the Province of British Columbia in 2017. Alpheus Todd, one of the most respected historians of Westminster Parliamentarism in the British Empire in the 19th century and the Parliamentary Librarian of the Dominion of Canada, elucidated all these principles so succinctly. Gallant could suffer the same fate as Millar in 1985 and Clark in 2017. Newton’s First Law states that an object remains in its current state (at rest or in uniform motion) unless another force acts upon it. Similarly, the incumbent government can stay in office after the election of a minority Legislature unless and until the elected assembly or the Governor acts upon it. Strictly speaking, any incumbent ministry could stay in office after any election — even if another party wins a parliamentary majority — subsequently meet the new Assembly, and, finally, only resign after losing the vote of confidence on the Address in Reply to the Speech from the Throne. This convention from the early days of Responsible Government (1840s to 1870s) started to die out once the entrenchment of party discipline in the late 19th century rendered it inefficient and impracticable. Since the 1870s (with the notable exception of Prime Minister Tupper in 1896 when he tried to pack the Senate and courts with 11th-hour appointments), it has become universally accepted in Canada than the incumbent first minister resigns if another party wins a majority. In other words, the electorate, no longer the Legislative Assembly, now in effect decides who governs in the case of majority parliaments. We accepted a key premise of popular sovereignty 140 years ago, but this concession to popular sovereignty can only work properly under majoritarian electoral systems and a strong two-party system. If either or both of those underlying conditions change, then the convention and default option would also have to change in kind. As such, the old 19th-century convention still exists in narrower form in minority parliaments, where it makes practical sense and conforms to the aforesaid principles of forming governments. Inertia, surely the most powerful force within large institutions, reigns supreme. The incumbent government remains in office unless another force acts upon it – where either the Premier chooses to resign before meeting the Legislative Assembly or the Premier chooses to resign after the elected Assembly defeats his government on the Address in Reply, or the Lieutenant-Governor dismisses the Premier from office. If the incumbent Premier chooses to remain in office and test the confidence of the new minority legislature, then the assembly should first reject the ministry before the Lieutenant-Governor dismisses the Premier from office. This order best maintains the democratic role of the Legislative Assembly and the neutrality of the Office of Lieutenant Governor. As a result of these efforts, the Foster Government easily won the Address in Reply to the Speech from the Throne without the need to enter into a coalition government with a smaller party. The Liberal party continued to govern until its defeat in the 1925 election. In a minority parliament, the incumbent government gets the first chance at continuing to govern, even if an opposition party won the plurality. At least one precedent, however foreboding and inauspicious, supports Premier Gallant in this respect. In 1925, even though Arthur Meighen had led the Conservatives to a parliamentary plurality, the King government remained in office, because the Progressives were willing to vote with the Liberals on confidence matters. In contrast, sometimes the incumbent Prime Minister or Premier waives that right and announces his intention to resign when another party wins the plurality in a minority parliament, as Prime Minister St. Laurent did in 1957 and Prime Minister Martin did on 23 January 2006. St. Laurent and Martin thus prioritized the electorate over the confidence of the House of Commons. While constitutionally, the incumbent first minister can remain in office when another party wins a plurality, this scenario almost always poses political difficulties and political questions of illegitimacy. 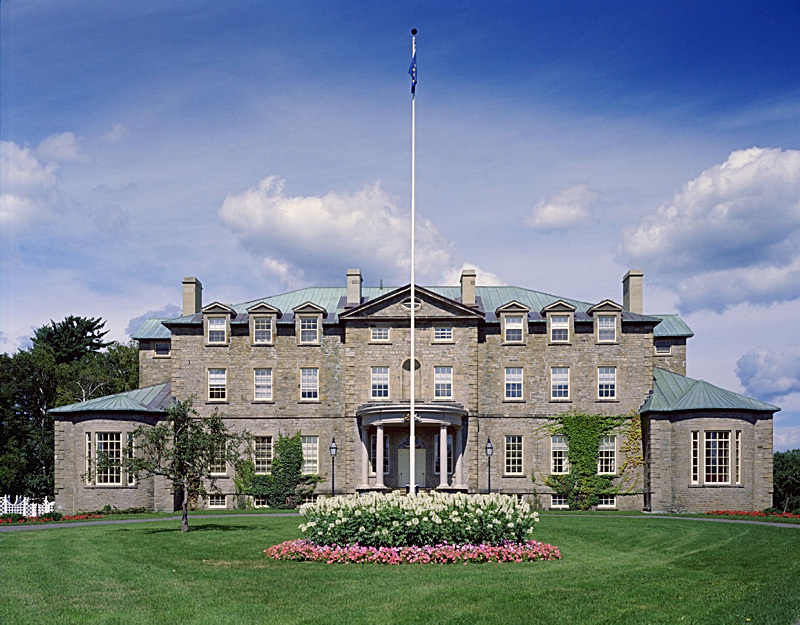 The Lieutenant-Governor retains the discretion to reject a first minister’s advice to dissolve the legislature under exceptional circumstances – especially if an alternative government could be formed from within the existing assembly. In principle, an irrevocable act like dissolution, the civil death of a legislature, should always remain the last resort precisely because it is final. Dissolution is also expensive; general elections cost a great deal of money to run these days. Most minority legislatures could potentially sustain another government, and the Lieutenant-Governor should always explore those options first; only if all those fail should the Lieutenant-Governor allow dissolution. This is why the statement that by Liberal Government House Leader Lisa Harris is misleading. Lieutenant Governor Roy-Vienneau cannot dissolve the Legislature on her own initiative, as Harris’s statement implies. In Canada, the Governor-General and Lieutenant-Governors can and do only dissolve legislatures on ministerial advice. Therefore, the only way that an “unnecessary election” could occur is if Premier Gallant requested one and Lieutenant Governor Roy-Vienneau carried out his advice! The lack of a Speaker does not automatically prompt an election. The Gallant Liberal Government is operating on the mistaken belief that a deadlocked assembly provides an automatic right of dissolution, instead of potentially leading to dissolution as the last resort. In this case, the Assembly’s inability or unwillingness to elect a Speaker under the incumbent Gallant government could provide grounds for Lieutenant-Governor Roy-Vienneau to refuse Gallant’s advice to dissolve the legislature, precisely because a viable alternative government could probably be formed from within the existing Legislature. In some ways, the vote on electing the new Speaker might be more interesting than the confidence vote on the Address in Reply — if only because under the Standing Rules of the New Brunswick Legislative Assembly, the assembly must first elect a new Speaker before undertaking any additional business. Under the Legislative Assembly Act a Speaker remains in office until the day prior to the election of a new Speaker. If the Assembly is unable to elect a Speaker on Tuesday, defeated MLA Chris Collins would remain as Speaker but would be unable to chair the Assembly. He could only act in his capacity as administrative head of the Office of the Legislative Assembly, until a new Speaker is elected. Section 11 of the Standing Rules of the New Brunswick Legislative Assembly outlines the process for electing a Speaker. Standing Rule 11(3) states that all MLAs who are not Ministers of the Crown or leaders of recognized political parties are eligible to stand for election as Speaker. Unconventionally, individual MLAs must submit a form indicating their intention to withdraw from being considered a candidate for Speaker by 5:00 PM the day before the election of a Speaker. On Friday, the unexpected announcement by Government House Leader Lisa Harris that, despite the Liberal Party’s pledge that none of its MLAs would stand for Speaker, there would still be a candidate for Speaker now complicates the situation. If the Clerk of the Legislative Assembly (rightly) views a signed Notice of Withdrawal form as irrevocable, the only means whereby there could be a candidate for Speaker is if a Liberal cabinet minister resigns from the Executive Council prior to the Monday 5:00 PM deadline, thereby becoming eligible under Standing Rule 11(3). 11(1) The House, on its first assembling after a general election, and at any other time as determined pursuant to subrule (2), shall make the election of Speaker the first order of business, which shall not be interrupted by any other proceedings. 11(2) In the case of a vacancy in the Office of Speaker, as a result of the death, resignation or otherwise of the incumbent to that Office, the House shall proceed to elect one of its Members to be Speaker. 11(3) No Minister of the Crown, nor leader of a recognized party in the House, shall be eligible for election to the Office of Speaker. If the House is unable to elect a Speaker in the first instance, what happens? Standing Rule 11(9) expressly provides that the election of a Speaker is not a question of confidence in the government, meaning there is no obligation for Gallant to resign as Premier. However, there are additional factors at play regarding the inability to elect a Speaker which can indirectly be viewed as a question of confidence in the government. Westminster parliamentary precedent shows that if an assembly fails to elect a Speaker, eventually the Lieutenant-Governor must dissolve the Legislature on ministerial advice in order to break the deadlock — but, crucially, not necessarily on the advice of the incumbent government. This has to do with the interplay between some core rationales of our system of government. Any Legislative Assembly must first elect a Speaker before the Assembly and the government can proceed with other necessary matters — like the Speech from the Throne, the Address in Reply, and tabling a budget and key policy bills — and thereby fulfill its primary duty of carrying out the Queen’s business. And the Lieutenant-Governors, in turn, must guarantee, as their first duty, that there is always a duly constituted Ministry is able to carry on the Queen’s business. In our system, there is always only one ministry at a time. Only the Lieutenant-Governor can dissolve the Legislature, on the advice of the Premier. Therefore, the inability of a Legislative Assembly to elect a Speaker is legitimate grounds for the Premier to advise an early dissolution and a new general election, even only mere weeks after the last general election. In short, if the Legislative Assembly of New Brunswick continuously fails to elect a Speaker next week, only two options could break the impasse: first, the resignation of Gallant and the appointment of Higgs as the next Premier, or, if the Assembly still fails to elect a Speaker under a new Conservative government, then Higgs could advise and receive the early dissolution. Premier Gallant could try advising Lieutenant-Governor Roy-Vienneau to dissolve this new Legislature on the grounds that it cannot elect a Speaker. However, Her Honour would not have to implement Gallant’s constitutional advice under these strange circumstances; she could choose to follow it or not because an alternative government probably exists within the existing assembly. If Roy-Vienneau rejected Gallant’s advice to dissolve the legislature, then Gallant would have to resign. She would then appoint Progressive Conservative leader Higgs as Premier and see whether the Assembly would be willing to elect a Speaker under him. If an early dissolution occurs, it would be Higgs who advised it. A very close and relevant precedent happened in the Dominion of Newfoundland in 1909 — and the analogy might be more instructive than Gallant would like. In 1908, the Liberal Party of the incumbent Premier Sir Robert Bond won 18 seats. The People’s Party (formerly the Tory Party) also won 18 seats. In this legislative duopoly, Sir Robert Bond remained in office and met the new assembly, which could not elect a new speaker. It could therefore not transact any business. Bond advised Governor Sir William MacGregor to dissolve the assembly; MacGregor refused, and Bond therefore resigned because the Governor did not follow his advice. Governor MacGregor then commissioned the leader of the People’s Party, Sir Edward Morris, to form a new ministry on the condition that he had a reasonable prospect of nominating a Speaker and obtaining Supply. Because of the equality of seats, it was unclear how Morris intended to carry out his plans. When the Morris ministry met the assembly, it still could not elect a new Speaker. Morris then advised dissolution, which MacGregor granted. This generated a degree of controversy as the position of Premier offered the holder significant powers of patronage appointments going into an election. Bond argued that he should be re-commissioned as Premier going into the election. MacGregor rejected this suggestion. Morris’ People’s Party went on to win a decisive parliamentary majority in the general elections later in 1909. It is clear that, though at first sight there seems to have been some hardship in the fact that Sir Robert Bond was refused a dissolution, the course followed was exactly in concordance with the law of the constitution. It was the duty of the Governor to exhaust every possible chance of forming a Government before he dissolved a House which had just met after a general election, in which both sides had placed their policy fully before the country, and which, therefore, must be deem to show that neither party had a clear majority in the country. The incumbent government remains in office and tests the confidence of the new assembly; the Governor denies the incumbent Premier dissolution, dismisses him, appoints the Leader of the Opposition as the new Premier, but would grant the new Premier’s request for dissolving the legislature because it had played out all its possible options. The same principle played out in Canada in 1925-1926 with King and Meighen. Since there must always be a ministry in office, and since the Governor should exhaust all possible options before dissolving a minority legislature, the most practical solution is that last government standing remains in office as caretaker during the election, as opposed to re-appointing the first government. Under these conditions, each government gets one chance within the minority legislature; and, overall, each government would have served as the incumbent caretaker during the two most recent elections (Canada in 1925 and 1926 and Newfoundland twice in 1909). Everything balances out. Unlike in Newfoundland in 1908, the results of Prince Edward Island’s General Election in 1858 did not produce a tie in the Legislative Assembly. The incumbent Liberal Government under Premier George Coles had a 16 Seats to the Conservative Opposition’s 14 creating a working majority of 2 seats out of a total of 30 MLAs. Two-seat majorities make for precarious and uncomfortable governments, since the absence or illness of only one MLA can cause the government to fall on matters of policy or supply. However the MLA for Princetown and Royalty, and Lot 18, John Ramsey declined to take the oath of office due to an erroneous assumption that he required a combined total £50 worth of leasehold and freehold property rather than £50 of leasehold or freehold. His refusal to take the oath of office meant that he could not take his seat. This reduced the Government majority to 1. Another government supporter, Mr. Macdonald, was involved in a contested election where the Conservative candidate received 6 more votes than him. This resulted in questions related to the propriety of him voting. This had the result of reducing the votes on the floor to 14 – 14. The government therefore nominated an opposition member, John Longwood, for Speaker, whereas the opposition nominated Liberal MLA and the former Speaker of the last assembly, Edward Thornton, to continue serving in that role. Both Longwood and Thornton declined to serve. At the hour of publication (4pm on Thursday February 18th 1859), The Islander indicated that debate was ongoing with a dissolution likely. “It having been notified to me last evening by the Clerk of the Assembly, that after two days deliberation you, Gentlemen of the House of Assembly had not appointed a Member of the Assembly, as your Speaker. “I consider under these circumstances, any longer delay might tend to serious inconvenience and loss to the Public Revenue, and would not lead to any beneficial result; it therefore becomes my painful duty to release you from further attendance and to dissolve the present House of Assembly. In the Conservative newspapers, columnists attacked Lieutenant-Governor Daly for granting a request for dissolution, arguing that Conservative Reformers had the right to form government prior to the dissolution of the Assembly. However, it is unclear in practice how this was to occur. The Conservatives won a majority in the ensuing election and formed a new government. I hoped that by permitting ample time for reflection that the House might find some means of overcoming the difficulty, but in this expectation I was disappointed as the increasing exasperation of party feeling appeared to have destroyed all chance of its solution. Although the very narrow majority of two gave me some reason to apprehend that a dissolution might be forced upon me before the necessary measures of the Speaker could be matured. I did not expect so early of an interruption of it. It had been the intention of the Government to propose the reappointment of Mr Thornton, the late Speaker, and one of their supporters. But that gentleman [unintelligible] refused to accept the Chair under the altered circumstances and the opposition members as firmly resisted accepting the office by which their opponents would be strengthened. I have with the advice of my Council caused writs to be issued as speedily as possible with the view of assembling the new Parliament early in April, which will I trust afford sufficient time for the perfecting of the few measures such as the Revenue and Appropriation Acts, that are absolutely [unintelligible] for the protection of the public interests. It is satisfactory that at this reason a General Election occasions the least interruption to the industrial pursuits of the inhabitants at the same time, their frequent occurrence is much to be regretted as the long standing difficulties which every friend of the Colony wishes to see set at rest are thus aggravate. The Lieutenant-Governor of Prince Edward Island’s own words clearly show that he concerned himself above all with ensuring that the government in office could continue to carry out the Queen’s business and pass supply, and that he retained the discretion to reject ministerial advice to dissolve the legislature — especially if that dissolution would detract from obtaining Supply. Importantly for Premier Gallant, Lieutenant-Governor Daly also viewed it reasonable to allow the MLAs a few days to select a Speaker to allow for a political resolution. If the Legislative Assembly elects a Speaker next week, then Lieutenant-Governor Roy-Vienneau will read the Speech from the Throne of Gallant’s incumbent government shortly thereafter. The vote on the Address in Reply will then determine whether Gallant’s Liberals can command the confidence of the new assembly by securing the support of the Greens and/or People’s Alliance. Two precedents under virtually identical circumstances support the case for Gallant’s resignation if he loses the confidence of the House in the coming weeks and show that he would set himself up for an ignominious dismissal from office if he opted for early dissolution. On 2 May 1985, Ontarians returned a minority legislature. The Progressive Conservatives won a plurality but remained outnumbered by the combined forces of the Liberals and New Democrats. Incumbent Premier Frank Miller decided to remain and test the confidence of the new assembly. His government lost the vote on the Address in Reply in June. He then tendered his resignation to Lieutenant Governor John Black Aird, who subsequently appointed Liberal leader David Peterson as the next Premier of Ontario. Bob Rae’s New Democrats and Peterson’s Liberals had come to a supply agreement whereby the New Democrats would support the Liberals on all matters of confidence to two years and Peterson would not advise early dissolution for two years. A very similar scenario played out in British Columbia in 2017, where voters also elected a minority legislature on 9 May. The incumbent Liberal government of Premier Christy Clark lost its majority but retained a plurality. However, the New Democrats and Greens combined held one more seat than the Liberals; they had already come to a supply agreement and joined forces to defeat the Clark government on the Address in Reply on 29 June. Clark immediately made her way to Government House and brazenly advised early dissolution even though an alternative government could almost certainly be formed within that legislature. Lieutenant Governor Guichon rejected Clark’s advice, thereby dismissing her from office, and commissioned New Democratic Party leader John Horgan as the next Premier. The precedent from New Brunswick in 1866 is an anomaly. Lieutenant-Governor Arthur Hamilton Gordon forced the resignation of the Anti-Confederate Government of Premier Arthur J. Smith and then commissioned a Pro-Confederation government under Peter Mitchell in 1866 during the 21st New Brunswick Legislature. The Anti-Confederate government, which came to power in 1865, resigned when Lieutenant-Governor Gordon forcibly inserted in the Speech from the Throne, a paragraph that supported Confederation. Even at the time, observers considered Lieutenant-Governor Gordon’s personal intervention unusual and practically unconstitutional. Contemporary James Hannay remarked: “His Excellency put a severe strain on the constitution and the principles of Responsible Government, when he took to answer the address of the [Legislature] when he did, without consulting his constitutional advisors, and contrary to their wishes.” In this case, Lieutenant-Governor Gordon acted, according to Alpheus Todd, on his own initiative (though perhaps also on instructions from the Colonial Office, which before the Statute of Westminster, 1931 took precedence over the advice of local ministers). The Legislative Assembly’s inability to elect a Speaker does not amount to a vote of non-confidence against the incumbent government. The Standing Rules themselves clearly state Premier Gallant would not have to resign, and is free over a series of days to try and see if the Assembly can elect a Speaker. However, the continued inability of an Assembly to elect a Speaker would touch upon a related question and indicate, more fundamentally, that the non functioning Legislative Assembly prevents the government to carry out the Queen’s business and obtain Supply (Money). Only the dissolution of the Legislature could definitively end the deadlock in the Assembly; however, a Lieutenant-Governor cannot ascertain whether the Assembly is hopelessly deadlocked without exploring all possible options. This is why Lieutenant Governor Roy-Vienneau would be justified in refusing Premier Gallant’s advice to dissolve the Legislature and issue a new election, if the Assembly either fails to elect a Speaker or votes against an eventual Throne Speech. The Lieutenant-Governor can reasonably refuse the advice of the incumbent Premier to dissolve the Legislature, and determine whether the Assembly can elect a Speaker under a different government, and then subsequently dissolve the Legislature if the Assembly still cannot elect a Speaker. In both Prince Edward Island and Newfoundland, the Governors regarded early dissolution and fresh elections as a last resort, and they only granted dissolution as the quickest way of resolving deadlock and obtaining Supply. An Assembly with no Speaker does not automatically result in an election. Premier Gallant offering a candidate for Speaker is not a gesture that prevents an election from occurring, it is simply political rhetoric. As the Lieutenant-Governor can only dissolve the Assembly on the request of the Premier, all Premier Gallant has to do to prevent New Brunswickers going to the polls is not advise Lieutenant-Governor Roy-Vienneau to dissolve the Legislature. Unlike Prince Edward Island and Newfoundland, the seat count in New Brunswick, where the Progressive Conservatives have one additional seat than the Liberals, creates a compelling argument for the Lieutenant-Governor to appoint Higgs as Premier on the condition that the House can elect a Speaker to carry out the Queen’s business. Whoever can most easily obtain Supply should remain or become Premier. Premier Gallant has probably taken stock of what happened in British Columbia in June 2017, when Lieutenant-Governor Guichon unceremonious dismissed Premier Clark from office after rejecting her audacious advice to dissolve the 41st Legislature early, and would wisely decide to avoid the same embarrassing fate. It is far more dignified to offer one’s resignation willingly. The historical precedents show that a deadlocked Assembly does not automatically result in a change of government, or dissolution. If the Gallant Government, either by intent, or now by procedural constraints, cannot offer a candidate for Speaker, his Government can continue to limp on in a caretaker capacity, hoping for signals that the combined vote of the Greens and People’s Alliance will support him and that an MLA puts their name forward for Speaker. In this manner, Gallant buys additional time for discussion and mobilization of public opinion. Provided that he does not request a dissolution that would likely be refused, he will remain Premier for the near future until Lieutenant-Governor Roy-Vienneau decides that his inability to pass Supply under the caretaker principle of restraint makes his government untenable. However, if the Gallant Liberals decide now to offer a candidate for Speaker, they would quickly secure their own demise. If the Legislative Assembly elects a Liberal MLA as Speaker and allows the House to carry on with other business, the Gallant government would probably face defeat on the Address in Reply to the Throne Speech. Unlike in the first scenario, the Gallant government runs out of time to change political reality. An organized opposition can quickly defeat the Gallant government on the second sitting day, and if the British Columbia Clark government is any indication, the Gallant Government’s Throne Speech would soon be forgotten. Aside from an eventual Premier Higgs, the only true winner in this scenario would be the Liberal Speaker whose tenure is the life of the Assembly, not of the Government. He or she would receive the equivalent salary of a cabinet minister, a car, and the protocol trappings associated with the Office of the Speaker. It would be then for that Speaker to decide whether to resign during a Higgs’ government or stay in Office. Gallant will shortly be checkmated. If the Assembly eventually fails to elect a Speaker under Gallant’s beleaguered incumbent single-party minority government, or if it does elect a Speaker but then votes against the Address in Reply to the Speech from the Throne or the first major Supply bill later this year, Gallant should resign and make way for Lieutenant-Governor Roy-Vienneau to appoint Higgs as Premier. Can the 41st Legislative Assembly of British Columbia Elect A Speaker? Lyle Skinner, “Impartiality of the Speaker: Politics Versus Convention in New Brunswick’s 55th Legislature,” Honours Thesis (Fredericton: University of New Brunswick, September 2008). Kevin Bissett, “Lieutenant-Governor Tells Parties to Work Out Deal Because Another Election Is ‘Not in the Best Interest’ of New Brunswick,” The Globe and Mail, 14 October 2018. Jacques Poitras, “Walls Closing In On Gallant Ahead of Throne Speech,” CBC News, 19 October 2018. The devolved assembly in Northern Ireland stands as the only exception to this principle in the Commonwealth Realms that there is always one ministry in office at any given time due to the peculiarities of its enabling legislation. Northern Ireland has gone without a local government since 2 March 2017. Financial Administration Act, RSNB 2011, c 160. George F.G. Stanley, The Role of the Lieutenant Governor: A Seminar (Fredericton: Legislative Assembly of New Brunswick, 1992). Peter Hogg, Constitutional Law of Canada, 2nd Edition (Toronto: Carswell Company, 1985), 191. Sir John George Bourinot, Parliamentary Procedure and Practice, 4th ed. (Montreal: Dawson Brothers Publishing, 1916), 102; R. Macgregor Dawson, The Government of Canada. 5th ed. (1970), revised by Norman Ward (Toronto: University of Toronto Press, 1947): 175. Sir John George Bourinot, Parliamentary Procedure and Practice. 1st ed. (Montreal: Dawson Brothers Publishing, 1884): 58. Alpheus Todd, Parliamentary Government in the British Colonies, 2nd Edition (London: Longmans, Green, and Co., 1894), 760-761. Alpheus Todd, Parliamentary Government in the British Colonies, 2nd Edition(London: Longmans, Green, and Co., 1894), 760-761. Art Doyle, Front Benches and Back Rooms: A Story of Corruption, Muckraking, Raw Partisanship, and Intrigue in New Brunswick (Greentree Publishing, 1976), 216. F.C. Mears, “Promise Is Given to Refrain from Making Appointments,” The Globe, 4 November 1925. F.C. Mears, “‘Usurping of Power,’ Meighen Charges,” The Globe, 5 November 1925. Blaine Higgs said this at 1:20 in his interview with Power and Politics with the CBC. Elizabeth Fraser, “Liberals and PCs Continue Battle Over Who Will Govern New Brunswick,” CBC News, 25 September 2018. Ibid., at the 2-minute mark of the interview. Alpheus Todd, Parliamentary Government in the British Colonies, 2nd Edition (London: Longmans, Green, and Co., 1894), 800. James W.J. Bowden, “When the Bell Tolls for Parliament: Dissolution by Efflux of Time,” Journal of Parliamentary and Political Law 11, no. 1 (2017): 129-144. For a discussion of the history of the election of Speakers in New Brunswick, please see Lyle Skinner’s thesis. Lyle Skinner, “Impartiality of the Speaker: Politics Versus Convention in New Brunswick’s 55th Legislature,” Honours Thesis (Fredericton: University of New Brunswick, September 2008). Kevin Bissett, “NB Liberals Say Speaker Deadlock Will Be Broken So Legislature Can Open,” The National Post, 18 October 2018. Arthur Berriedale Keith, Responsible Government in the Dominions, Volume 1 (Oxford: Clarendon Press, 1912), 209-211. Arthur Berriedale Keith, Responsible Government in the Dominions, Volume 1 (Oxford: Clarendon Press, 1912), 210. Elizabeth Fraser, “Liberals and PCs Continue Battle Over Who Will Govern New Brunswick,” CBC News, 25 September 2018. We pulled that quote from the 3-minute mark in the video of Premier Gallant’s press conference embedded within the CBC’s article. Fraser pulled a similar quote which seems to compress the full statement above. James Hannay, History of New Brunswick (St, John, New Brunswick: J.A. Bowes, 1909), 249. Alpheus Todd, Parliamentary Government in the British Colonies, 2nd Edition (London: Longmans, Green, and Co., 1894), 659-660. This entry was posted in Caretaker Convention, Confidence Convention, Constitution (Conventional), Crown (Powers and Office), Formation of Governments. Bookmark the permalink. This is quite wonderful. Thank you for putting out all this information so clearly. Was it not the case in both situations that the next two largest parties, constituting a majority of the House in question, had agreements in place before the Throne Speeches were read? I am certainly not arguing that the numbers look good, but at this point do we know how the Greens and/or People’s Alliance would vote when everyone believes that a Gallant loss would put Higgs into power?